On Day 10, a flash of red cranberries and a bit of white coconut make a Cranberry Drop Cookies Recipe perfect for Christmas. Enjoy! They’re adorable … and useful! 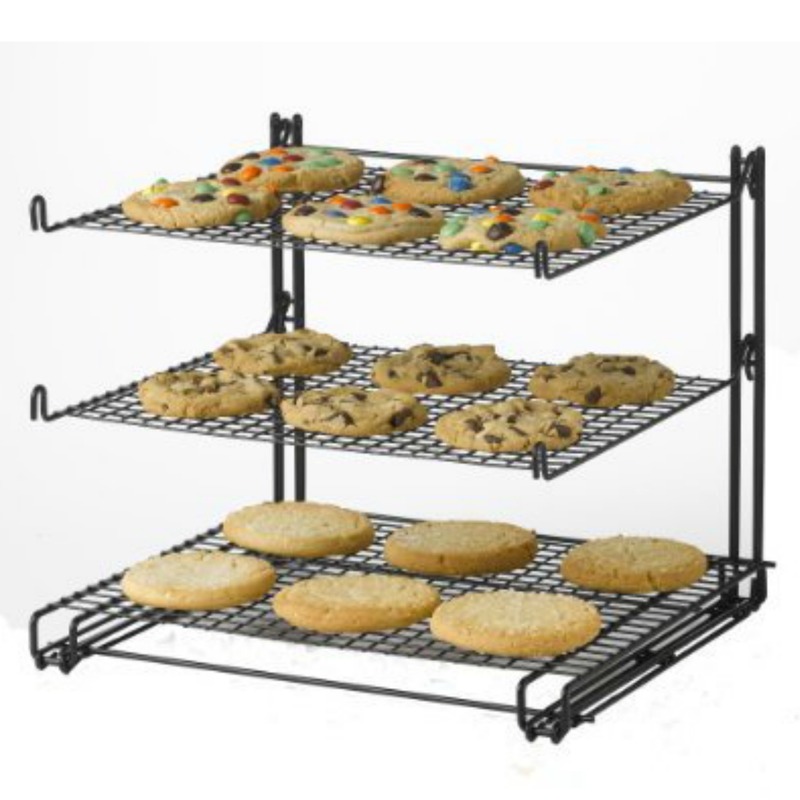 Browse all kinds of holiday cookie jars for decorating AND for keeping your holiday cookies fresh. They make great gifts, too! This Cranberry Drop Cookies recipe is a variation of traditional oatmeal drop cookies. It’s sweet with bite – and pretty to look at, with bits of dried cranberries and coconut flakes. There are two ways to make sure these cookies are not lumpy. 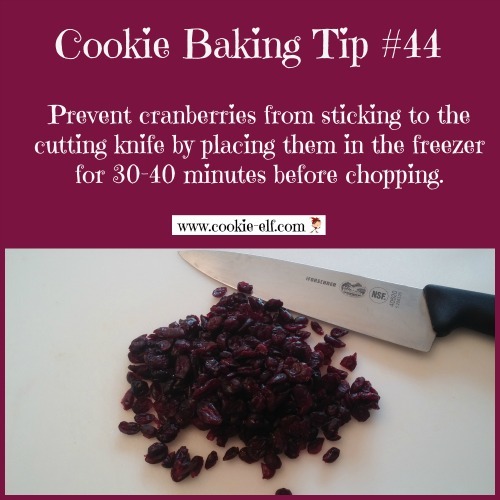 First, use quick oats rather than whole oats and chopped, dried cranberries or Craisins® rather than whole berries. 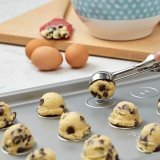 Second, be aware that thick cookie dough like this does not always spread easily in the short amount of time that cookies require to bake. 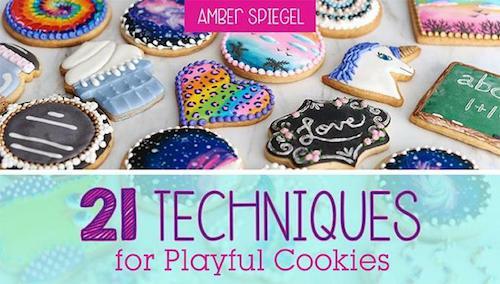 Flatten the scoops of cookie dough with your fingers, the heel of your hand, or the bottom of a drinking glass to help the cookies bake evenly. 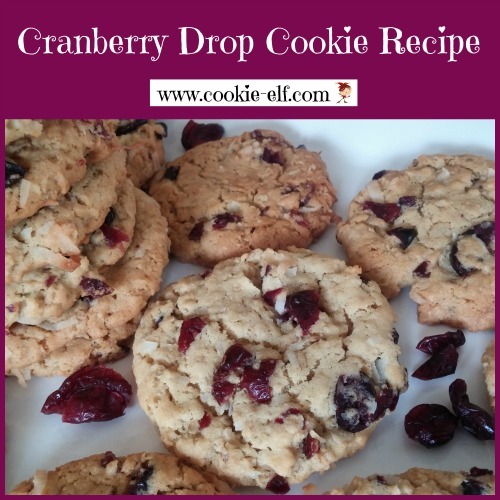 Get the full Cranberry Drop Cookies recipe … and check out our Drop Cookies Pinterest board for more drop cookie variations.